Problems of the knee are, unsurprisingly, quite common. The knee is the largest part of the human body. It is responsible for the straightening and the bending of the legs. There are many people who are of the view that knee problems can hinder them from exercising. However, professionals are of the view that it is important for people to stay active for supporting and strengthening the knee muscles and for preventing knee issues from getting worse. Good news in this field is that there are several safe exercises that can be practiced even if you are suffering from knee problems and pain. They do not strain the knee joint and rather help in doing away with pain and discomfort. Often, there are a number of precautionary measures that we come across in regards to preventing pain in the knees. There are many people who face problems in determining which measure they must follow or which will be the ones implying to their specific condition. If you are also one of those individuals facing the confusion of choosing from the things that you need to do and the things that you should not do when suffering from pain, they go through the points detailed below. Try Walking Very Often-Walking is one of the most ideal low-impact activities that help people who suffer from pain in the knee area. This is an activity that does not require any kind of device. You can easily start with what you can actually handle and then gradually start walking for twenty or thirty minutes per day as allowed by your knee and your body. Your knees will definitely thank you for this. Warming Up and Stretching can Greatly Help-You might have to face major injuries if you simply jump onto an exercise without warming up your body or your muscles. Prior to exercising, it is important for you to spend some time in slowly walking or stretching your legs. Knee pain sufferers should always make it a point to warm up their knee muscles before exercising. This can help them in reducing discomfort, pain and the risk of injury. Exercises help in strengthening the knees and in alleviating pain. One of the best exercises for eliminating pain in the knees is sitting on a chair and raising the legs up and putting them down again. This exercise, if repeated ten times on a stretch can help in managing and doing away with pain in the knee area. There is yet another exercise that can help in strengthening the knee muscles. You can roll up a cloth in cylindrical shape and keep it under your knee with your leg extended. Press the cloth with your knee and release it. This should be repeated at least four o five times for better results. 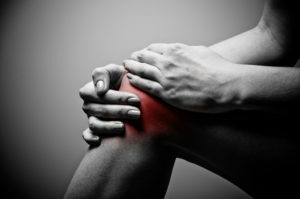 Use Kneecaps-People suffering from grade 1 or mild knee pain should always make use of kneecaps. Even people with chronic inflammation of the knee can use these for supporting the knee. However knee exercises also need to be done on a regular basis. Hot Packs-Sufferers of pain in the knees can even make use of hot packs for getting temporary relief from swelling and pain. Hot water needs to be used in an electrical bag and this bag should be placed on the knee for instant relief. If you do not have a bag, you can directly pour hot water on the knee for getting good relief. Beware of Your Footwear-Always try to wear comfortable slippers and shoes. You can go for your favorite footwear but make sure to avoid heels. This goes for both men and women. It would be better for you to wear shoes that are ergonomically designed as they offer adequate cushioning while reducing ground reaction force. 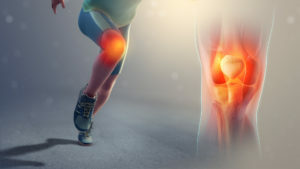 Stay Away from High-Impact Tasks-High impact and intense activities might aggravate your knee pain and therefore you must stay away from them. You must completely avoid the activities that include sudden stopping, frequent turning, running and jumping as they compromise the health of the knees and can also result in further damage. Even sports like soccer, tennis, basketball and football should be avoided. It is not that you must completely avoid these activities but be careful of your movements and try protecting your knees always. Avoid Exercising on Hard Surfaces-Avoid exercising in asphalt or concrete surfaces. This is because these surfaces lack in shock absorption and thus increase pressure on the knees while walking or running and even while exercising. If you have got a choice then it would better for you to exercise on a dirt track or grass. You can even use treadmills but only the good ones. Your main focus should be on shock absorption. Do Not Take Too Much Rest-Excessive rest can result in weakening of the knee muscles which would further worsen the pain in your knee joint. If you are unsure about the motions that are safe for you, consult a specialist therapist or a doctor. Weight Gain is a Complete NO –Suffering from pain in the knees can get worse if you gain a considerable amount of weight. If your pain is the result of weight gain, try reducing it by having a strict and balanced diet and through exercising. This is important because extra weight puts on huge stress on the knees. Try to have foods that can make your knees better and stronger. When your knee hurts or tends to suffer from minor trauma, it is essential for you to apply a tight and cooling bandage onto the area. Instant first aid helps in reducing knee pain to a great extent and will also not result in future problems. These are some of the most /important things that you should and should not do when suffering from pain in the knees. The above mentioned recommendations can help you in staying health and in keeping your knees in perfect shape.